A BEER drinking binge ended in tragedy after a Chipinge man hit his friend with a brick over a 50 cents debt. 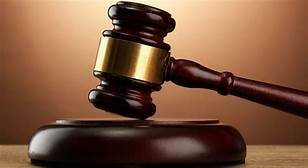 Innocent Shongeni (26) of Maronga Village under Chief Musikavanhu has appeared before senior Mutare Court Judge, Justice Hlekani Mwayera on murder charges. He was accused of causing the death of Onai Chinondida after he struck him with a brick on the head. Justice Mwayera however convicted him of culpable homicide as defined in Section 49 (a) of the Criminal Law Codification and Reform Act, Chapter 9:23. Shongeni was sentenced to four years imprisonment of which one year was suspended for five years on condition of good behaviour. He will serve an effective three years. The court heard that on November 9 last year, Shongeni and the deceased were at Ndaushwa Makuyama’s homestead drinking and at around 3pm. An altercation arose between the two over a 50 cents debt the deceased’s younger brother owed Shongeni. “The deceased struck Shongeni once at the back of the head with a catapult propelled stone. The deceased’s younger brother and his friend joined in to assault Shongeni with logs. Shongeni then produced a knife and picked a brick which he threw towards his assailants. “He was restrained by passersby who dragged him away from the homestead. Shongeni however, broke free and ran back to the scene where he picked another brick which he threw at his assailants. The brick missed its target and struck a by-stander,” said Mr Chingwinyiso. He picked another brick and struck Chinondida on the head. Chinondida fell to the ground and became unconscious. He was taken to Chibuwe Clinic where he was referred to Chipinge District Hospital.